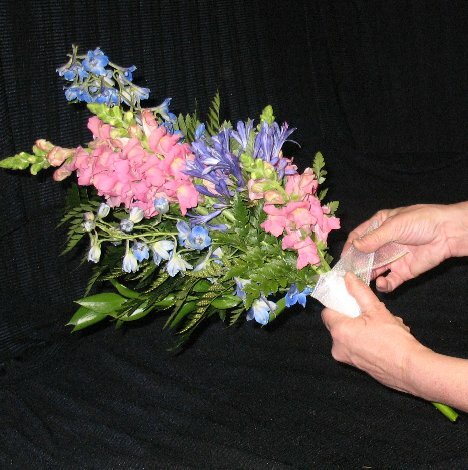 I finish off the handle with a ribbon wrap around the flower stems. 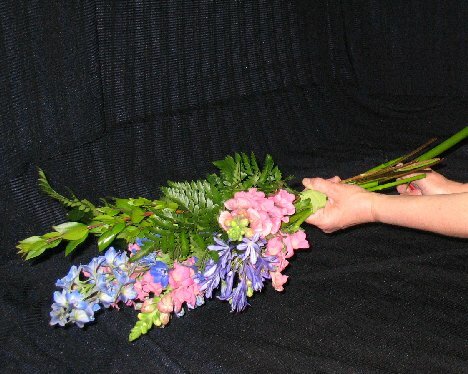 I cut off all the stems to the same length. 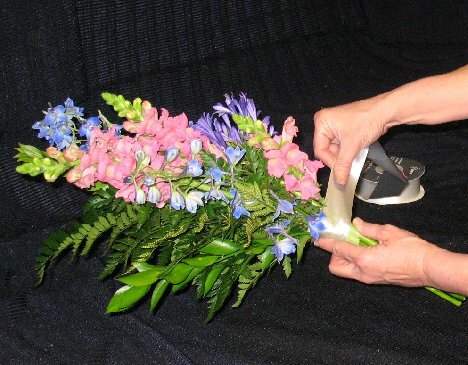 I'm going to ribbon wrap with a white satin first, so no green stems show through. 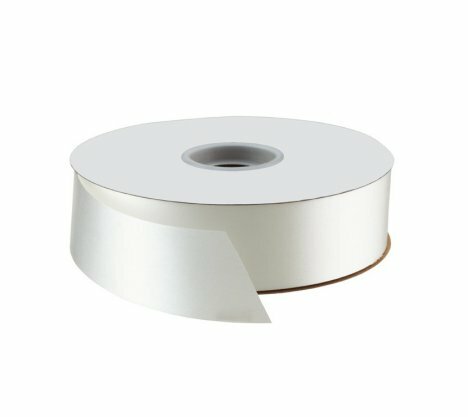 I generally use #9 ribbon width or similar because it's easier to handle and not too wide. 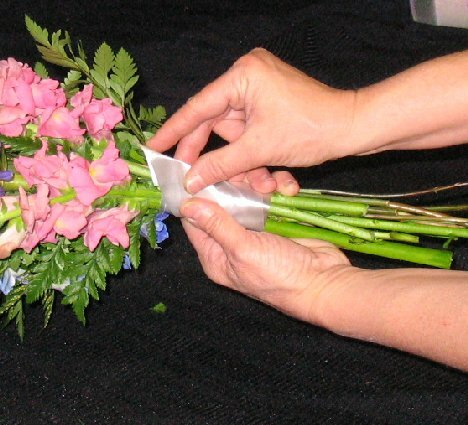 Wrap the ribbon around the stem and pull it tightly over it's own cut end. 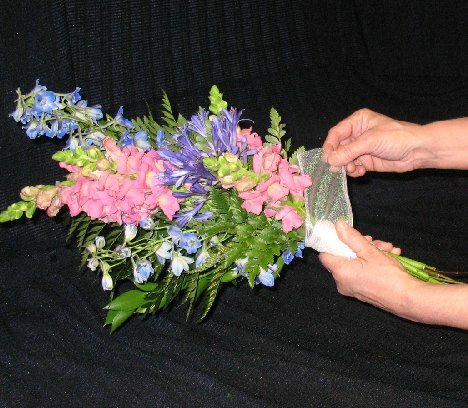 Cut off the ribbon and fold over the end and use a corsage pin to secure it in place. 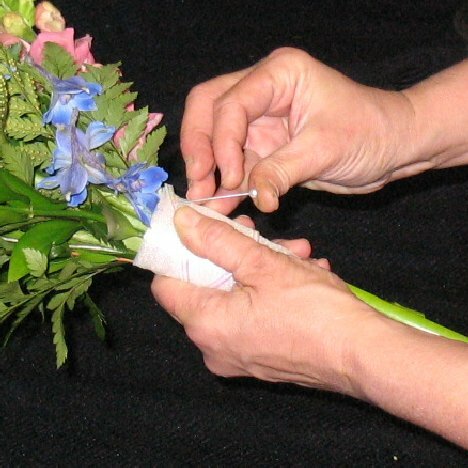 Pin at an upward angle, making very sure that the sharp end of the pin is buried in the stems of the flowers. I want the beauty and shimmer of sheer ribbon, which I'm going to wrap around the handle in the same manner as the satin ribbon. 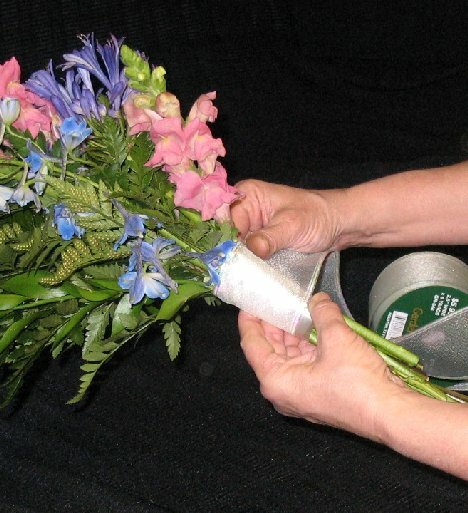 With the satin ribbon already in place, the green stems won't show under the sheer folds. 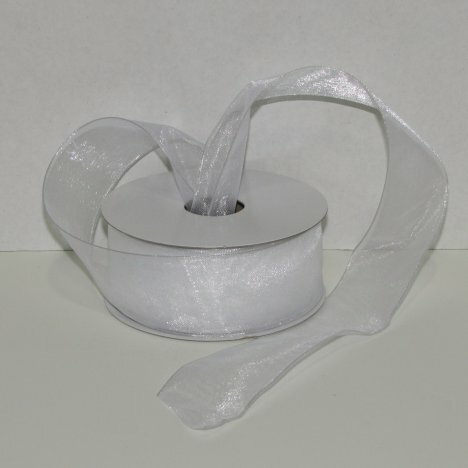 Place the cut end on the satin, and wrap around the sheer ribbon to overlay it's own cut end. 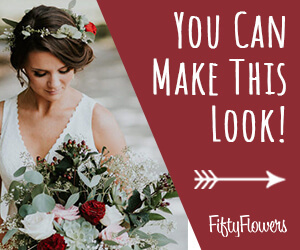 When you get the look you like, cut off with a sharp pair of ribbon shears to ensure no snags or frayed ends. Fold over the end and pin into place. 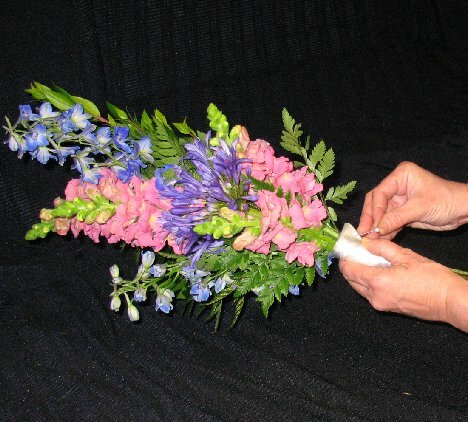 You can use colored corsage pins as a decorative accent down the ribbon handle if you would like. 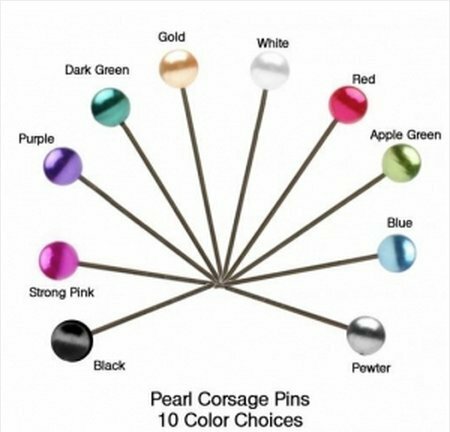 Pin down the length of the wrapped ribbon, evenly spacing the pearl headed pins apart. Always angle upward.